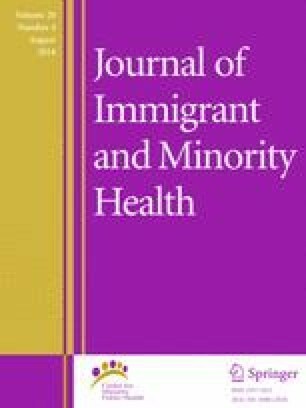 Using a cross-sectional sample of 534 Latino students from middle and high schools in a large North Carolina school district, we examined the relation of general and ethnic-biased bullying to depression and the indirect pathways through depression to suicidal ideation and substance use outcomes. A structural equation model tested the direct and indirect paths. The final model fit was excellent, χ2(90) = 127.6, p = .0056, RMSEA = 0.028, CFI = 0.974, TLI = 0.961. Ethnic-biased and verbal or relational bullying had a direct effect on depression, but general and physical bullying did not. Indirect effects through depression were found for ethnic-biased and verbal or relational bullying in relation to suicidal ideation, alcohol, and illicit drug use. Child nativity was marginally associated with ethnic-biased bullying, indicating foreign-born students may experience greater ethnic-biased bullying. Implications for future research and bullying prevention are discussed. None of the authors report a conflict of interest, either actual or perceived. All procedures performed in studies involving human participants were in accordance with the ethical standards of the institutional or national research committee and the 1964 Helsinki declaration and its later amendments or comparable ethical standards. Informed consent was obtained for research with human subjects. Pew Research Center. Hispanic trends: state and county databases: Latinos as percent of population, by state, 2011. 2011. http://www.pewhispanic.org. Accessed 25 Aug 2015. Kann L, McManus T, Harris WA, Shanklin SL, Flint KH, Hawkins J, et al. Youth risk behavior surveillance—United States, 2015. 2016. https://www.cdc.gov/mmwr/volumes/65/ss/pdfs/ss6506.pdf. Accessed 10 Sept 2016. Centers for Disease Control and Prevention. 2016 youth risk behavior survey questionnaire. 2016. https://www.cdc.gov/healthyyouth/data/yrbs/questionnaires.htm. Accessed 9 Sept 2016.